B&M Launch Control is designed to be installed into the vehicles existing brake system and can be used on either the front or rear brakes. Primarily intended as brake-locking devices for drag racing but also can be used on the street as hill-holders (up to 60 seconds). The included roll control solenoid can handle pressure spikes up to 1500 PSI or maintain constant pressure of up to 400 PSI. Controls front or rear brakes. Primarily used for drag racing. Handles up to 1500 PSI. Works with 12 or 16 Volt Systems. 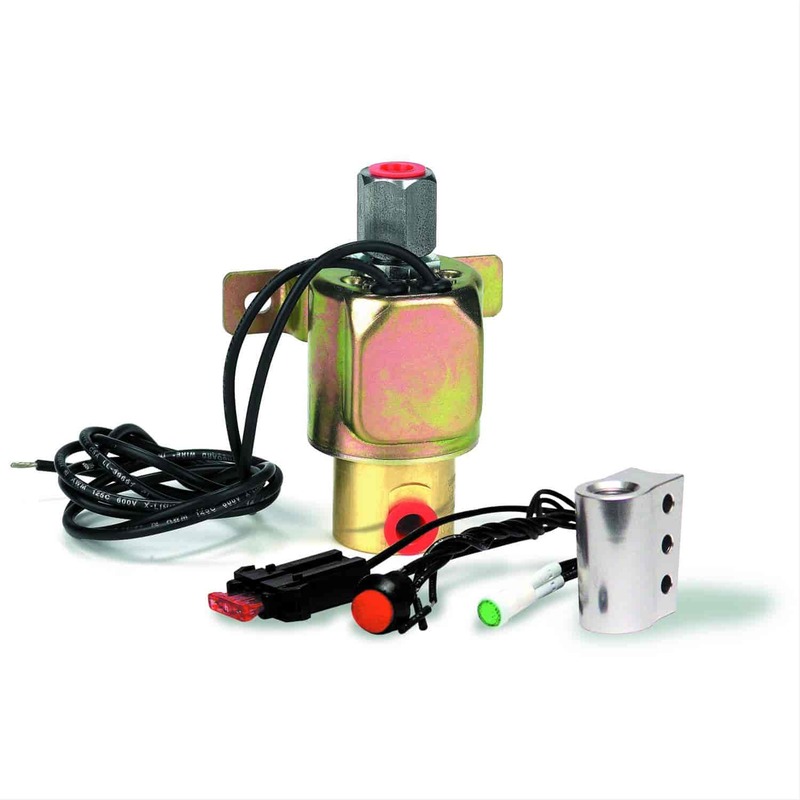 Includes in-dash line fuse assembly, indicator light, aluminum switch mount, and button switch.